By undertaking transportation and delivery functions using tank trucks, we reduce the workload placed on clients, achieve cost savings, and transport with exceptional speed in a manner that can only be achieved by a company offering integrated logistics. We arrange vehicles—which range from tank trucks that are highly mobile and that have traditionally been used to transport chemicals to ISO tank containers that are cost effective for the shipping of hazardous and poisonous materials—by taking into account cost and convenience at the delivery destination. Chemicals that require meticulous attention in their handling are shipped using dedicated vehicles within the Kanto region. Outside of the Kanto region, transportation is arranged that satisfies quality standards under the ISO 9001 quality assurance management system. By having the Maruzen Group draft import and export customs documents, determine the warehouses to be used, make drayage arrangements, and carry out other customs clearance operations on behalf of clients, the workload to be handled by clients can be reduced. We also own berths exclusively set aside for chemical tankers. This comprehensively integrated logistical system allows delivery times to be significantly shortened. Having acquired a business involving the handling of domestic shipping, we can also engage in shipping agency operations. 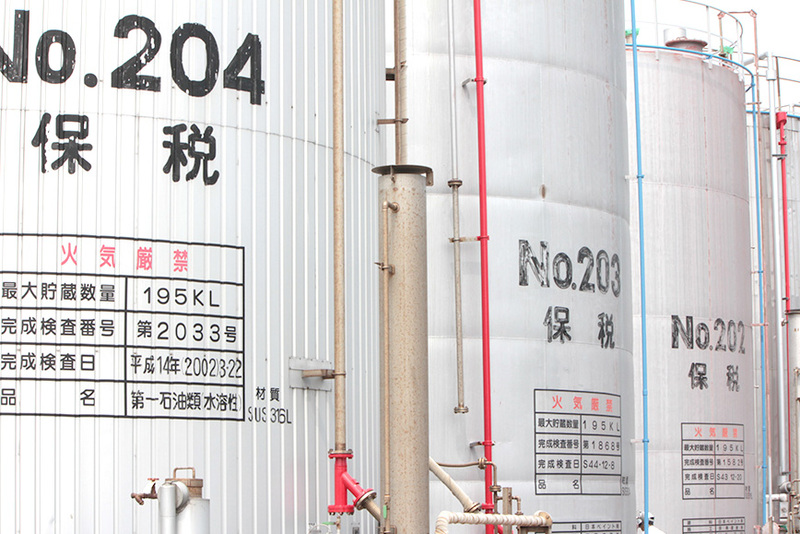 The many different tanks and warehouses owned by the Maruzen Group all constitute bonded tanks and bonded warehouses. For this reason, we are able to perform everything from customs processing as outlined in the section on customs clearance services as described above to the inspection, storage, and shipping of goods for goods imported from overseas and goods exported overseas. This allows us to make savings in terms of costs and time. Foreign cargo placed in bonded tanks and bonded warehouses are not subject to customs duties or consumption taxes. Huge benefits can be obtained by using these bonded tanks and bonded warehouses when storing cargo bound for a third country via Japan or when carrying out import procedures while keeping an eye on market trends.